we have no right to assume otherwise. and change the history of the world. Adams, Maurianne and Bell, Lee Ann. 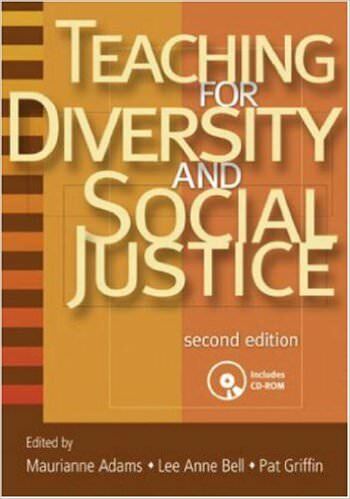 Teaching for Diversity and Social Justice (Routledge, 2007). For nearly a decade, Teaching for Diversity and Social Justice has been the definitive sourcebook of theoretical foundations and curricular frameworks for social justice teaching practice. Teaching for Diversity and Social Justice presents a well-constructed foundation for engaging the complex and often daunting problems of discrimination and inequality in American society. Adams, Maurianne, and Blumenfeld, Warren. 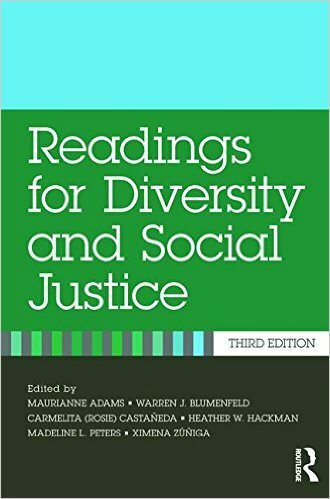 Readings for Diversity and Social Justice (Routledge, 2013). For more than a decade, Readings for Diversity and Social Justice has been the trusted, leading anthology to cover the full range of social oppressions from a social justice standpoint. With full sections dedicated to racism, sexism, classism, heterosexism, and ableism, as well as transgender oppression, religious oppression, and adult and ageism, this bestselling text goes far beyond the range of traditional readers. Offering over one-hundred and thirty selections from some of the foremost scholars in a wide range of fields, Readings for Diversity and Social Justice is the indispensible volume for every student, teacher, and social justice advocate. Bell, Lee Anne. 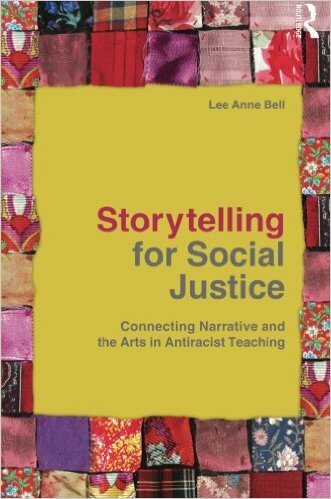 Storytelling for Social Justice: Connecting Narrative and the Arts in Antiracist Teaching (Teaching/Learning Social Justice) (Routledge, 2010). Through accessible language and candid discussions, Storytelling for Social Justice explores the stories we tell ourselves and each other about race and racism in our society. Making sense of the racial constructions expressed through the language and images we encounter every day, this book provides strategies for developing a more critical understanding of how racism operates culturally and institutionally in our society. Using the arts in general, and storytelling in particular, the book examines ways to teach and learn about race by creating counter-storytelling communities that can promote more critical and thoughtful dialogue about racism and the remedies necessary to dismantle it in our institutions and interactions. Illustrated throughout with examples drawn from high school classrooms, teacher education programs, and K-12 professional development programs, the book provides tools for examining racism as well as other issues of social justice. For every teacher who has struggled with how to get the "race discussion" going or who has suffered through silences and antagonism, the innovative model presented in this book offers a practical and critical framework for thinking about and acting on stories about racism and other forms of injustice. Branham, Rachel. What's So Great About Art, Anyway? 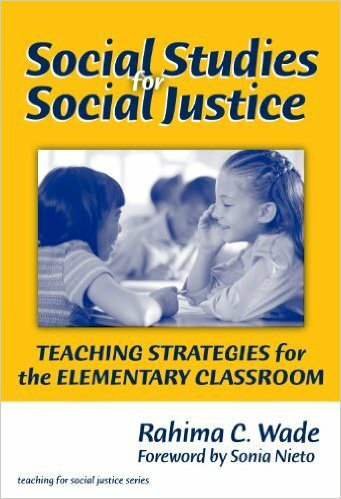 (The Teaching for Social Justice Series) (Teachers College Press, 2016). Inviting readers to examine schools and teaching with a critical lens, this visually and conceptually captivating graphic novel advocates for arts education in schools. At the center of this work is the author’s memoir as a young high school art teacher in the public school system. Through engaging (and frequently funny) anecdotes centered on classroom life, mixed with discussions of education policy and reform, readers explore teacher/student relationships, testing and accountability, 21st-century learning, and the history and purpose of art education. 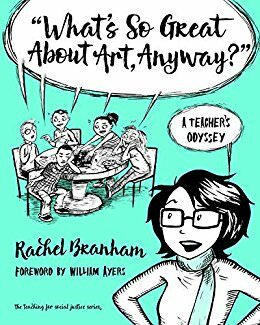 Branham’s personal narrative of challenges and triumphs demonstrate why art education should be preserved as a core subject if students are to understand the connection between creativity, critical thinking, and other higher-order skills. What’s So Great About Art, Anyway? is a refreshing book for everyone—particularly for in-service teachers—and is a smart foundational text in arts education and introduction to teaching courses. 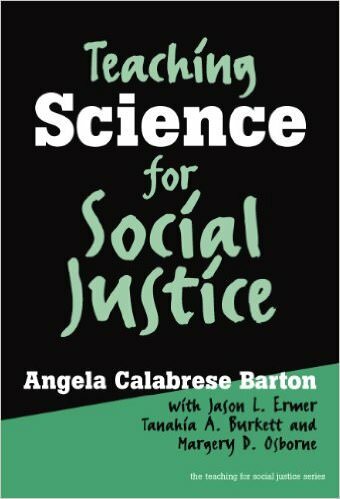 Calabrese Barton, Angela and Ermer, Jason L. Teaching Science for Social Justice (Teaching for Social Justice, 10) (Teachers College Press, 2003). How might science education reflect the values of a socially just and democratic society? Using a combination of in-depth case studies and rigorous theory, this volume offers a series of teaching stories that describe inner city youth's practices of science. Chapman, Thandeka K. and Hobbel, Nikola. 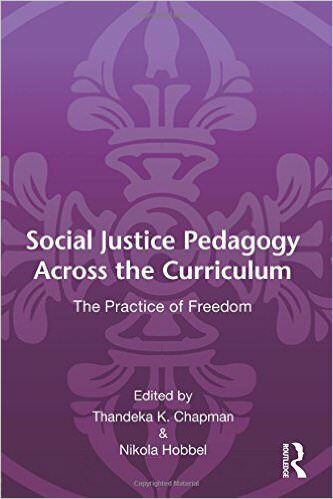 Social Justice Pedagogy Across the Curriculum: The Practice of Freedom (Language, Culture, and Teaching Series) (Routledge, 2010). What knowledge and tools do pre- and in-service educators need to teach for and about social justice across the curriculum in K-12 classrooms? This compelling text synthesizes in one volume historical foundations, philosophic/theoretical conceptualizations, and applications of social justice education in public school classrooms. Christensen, Linda. 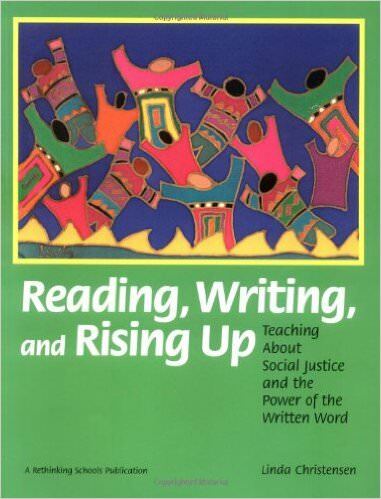 Reading, Writing, and Rising Up: Teaching About Social Justice and the Power of the Written Word (Rethinking Schools, 2000). A practical, inspirational book offering essays,lesson plans, and a remarkable collection of student writing, all rooted in an unwavering focus on language arts teaching for justice. An excellent resource for colleagues, staff development, teacher education, and school libraries. Christensen, Linda. Teaching for Joy and Justice: Re-Imagining the Language Arts Classroom (Rethinking Schools, 2009). Teaching for Joy and Justice is the much-anticipated sequel to Linda Christensen's bestselling Reading, Writing, and Rising Up. 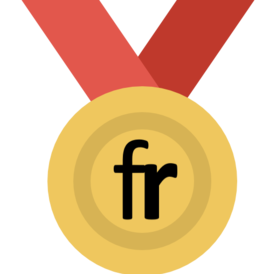 Christensen is recognized as one of the country's finest teachers. Her latest book shows why. Through story upon story, Christensen demonstrates how she draws on students' lives and the world to teach poetry, essay, narrative, and critical literacy skills. Teaching for Joy and Justice reveals what happens when a teacher treats all students as intellectuals, instead of intellectually challenged. Part autobiography, part curriculum guide, part critique of today's numbing standardized mandates, this book sings with hope -- born of Christensen's more than 30 years as a classroom teacher, language arts specialist, and teacher educator. Practical, inspirational, passionate: this is a must-have book for every language arts teacher, whether veteran or novice. 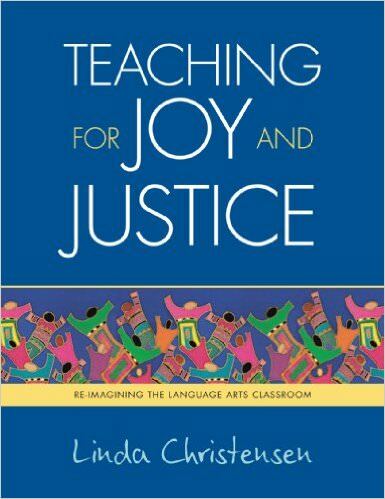 In fact, Teaching for Joy and Justice is a must-have book for anyone who wants concrete examples of what it really means to teach for social justice. Christensen, Linda and Watson, Dyan. 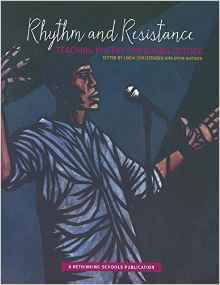 Rhythm and Resistance: Teaching Poetry for Social Justice (Rethinking Schools, 2015). Glynn, Cassandra and Wesely, Pamela. 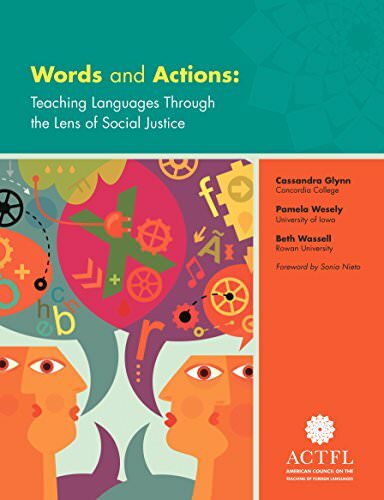 Words and Actions: Teaching Languages Through the Lens of Social Justice (ACTFL, 2015). According to the authors, a social justice curriculum positively influences all students. 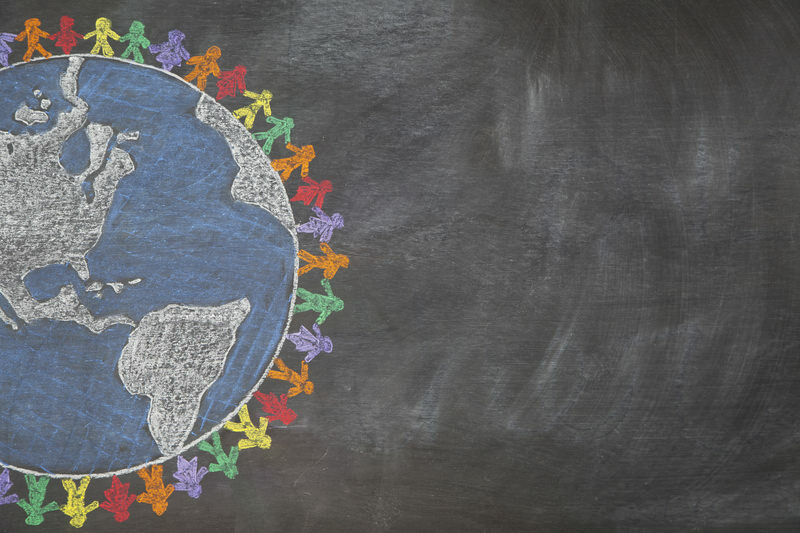 Social justice, critical pedagogy, and culturally relevant teaching are becoming essential as more and more language educators teach in increasingly diverse world language classrooms. This new publication supports in-service and pre-service teachers in recognizing their students' diverse backgrounds while also supporting students' ability to think critically about the world around them. Questioning mainstream approaches to language and culture learning is vital. An emphasis on social justice is, in part, a way to expand the definition and scope of language education, leading to further innovation in the profession. Goodman, Diane J. 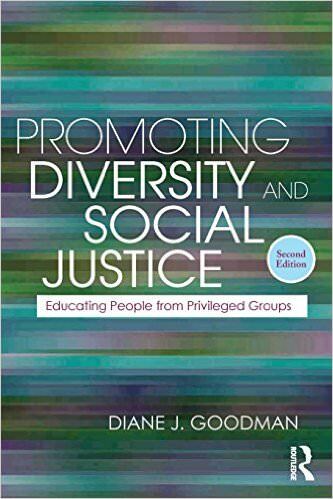 Promoting Diversity and Social Justice: Educating People from Privileged Groups, Second Edition (Teaching/Learning Social Justice) (Routledge, 2011). Promoting Diversity and Social Justice provides theories, perspectives, and strategies that are useful for working with adults from privileged groups―those who are in a more powerful position in any given type of oppression. The thoroughly revised edition of this accessible and practical guide offers tools that allow educators to be more reflective and intentional in their work―helping them to consider who they’re working with, what they’re doing, why they’re doing it and how to educate more effectively. 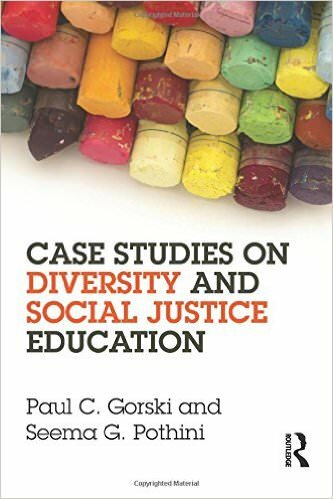 Gorski, Paul C. and Pothini, Seema G. Case Studies on Diversity and Social Justice Education (Routledge, 2013). Case Studies on Diversity and Social Justice Education offers pre- and in-service educators an opportunity to analyze and reflect upon a variety of realistic case studies related to educational equity and social justice. Each case, written in an engaging, narrative style, presents a complex but common classroom scenario in which an inequity or injustice is in play. These cases allow educators to practice the process of considering a range of contextual factors, checking their own biases, and making immediate- and longer-term decisions about how to create and sustain equitable learning environments for all students. Gutstein, Eric (Rico) and Peterson, Bob. 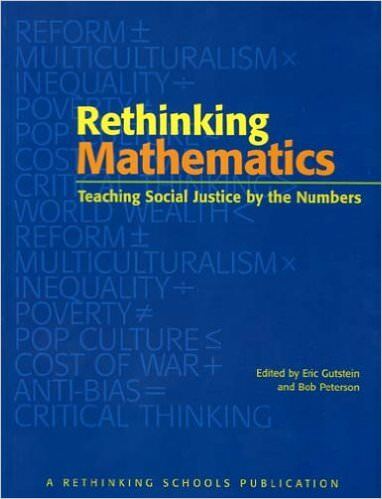 Rethinking Mathematics: Teaching Social Justice by the Numbers (Rethinking Schools , 2005). In this unique collection, more than 30 articles show how to weave social justice issues throughout the mathematics curriculum, as well as how to integrate mathematics into other curricular areas. Rethinking Mathematics offers teaching offers teaching ideas, lesson plans, and reflections by practitioners and mathematicians. This is real-world math--math that helps students analyze problems as they gain essential academic skills. This book will deepen students understanding of society and prepare them to be critical, active participants in a democracy. Blending theory and practice, this is the only resource of its kind. Institute of Race Relations. 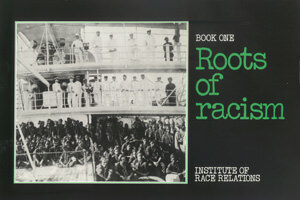 Roots of Racism (1982). The first book in a series which covers Europe’s early contacts with black people and the factors that fuelled the original drive for conquest. From the initial dominance of the Spanish and Portuguese, it traces the establishment of a worldwide colonial system and how that in turn fed Europe’s economic development – in particular through the industrial revolution. It examines the slave trade and the genesis of modern racism. Roots of Racism provides the historical context and back- ground necessary to understand contemporary race issues. 32 pages, with maps, charts, pictures and a glossary of basic terms. Institute of Race Relations. 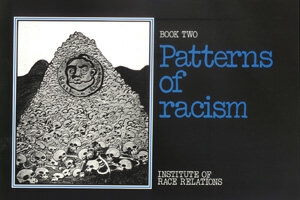 Patterns of Racism (1982). The second book in a series that traces the different ways that racism and colonialism have developed in various parts of the world and how and why they took on particular forms. Bringing the story up to the twentieth century, it covers North America, Australia and New Zealand, Southern Africa, Latin America, the West Indies and India. It concludes by looking at the type of racist culture that has been fostered by colonialism and imperialism. Patterns of Racism provides essential background reading for the study of such subjects as anti-colonial struggles, the US civil rights movement and the fight against apartheid in South Africa. Institute of Race Relations. How Racism Came to Britain (1985). 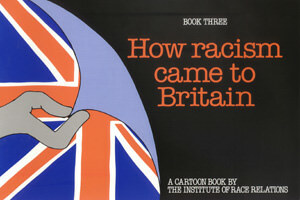 The third book in a series that explains how racism came to Britain. It is highly readable, serious – yet entertaining – and is especially suitable for young people. 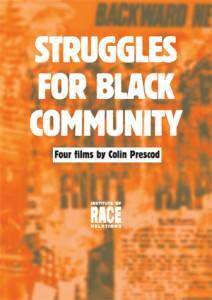 It examines the origins of racism in slavery and colonialism and shows how it affects black people in every aspect of their lives in Britain today – in immigration control, employment, housing, education, policing and law enforcement, and the media. 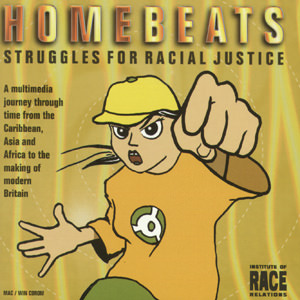 HomeBeats is a multimedia journey through time, from Africa, the Caribbean and Asia, to the making of modern Britain. The first cd-rom on racism and the black presence in Britain, it fuses music, graphics, video, text and animation into a stunning voyage of personal and historical discovery for every user. Through a series of fully interlinked sections – Memories, Places, People, Visions, Images – HomeBeats makes the links between past and present accessible to young people in a way possible in no other medium. It covers the history of the struggle for racial justice, tracing the connections between slavery, the colonial experience and modern day racism. The story of how black communities were built in the UK is told through the stories of eight locations in Britain: Birmingham, Bradford, Brixton, the East End of London, Liverpool, Newham, Notting Hill, and Southall. Easy and fun to use, with a soundtrack by Asian Dub Foundation, HomeBeats lets you learn at your own pace. 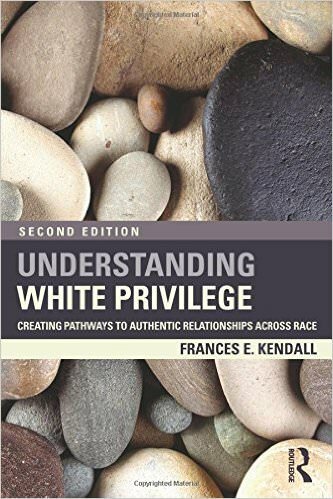 Kendall, Frances E. Understanding White Privilege: Creating Pathways to Authentic Relationships Across Race (Teaching/Learning Social Justice) (Routledge, 2012). The phrase "teaching for social justice" is often used, but not always explained. What does it really mean to teach for social justice? What are the implications for anti-oppressive teaching across different areas of the curriculum? Drawing on his own experiences teaching diverse grades and subjects, Kevin Kumashiro examines various aspects of anti-oppressive teaching and learning in six different subject areas. 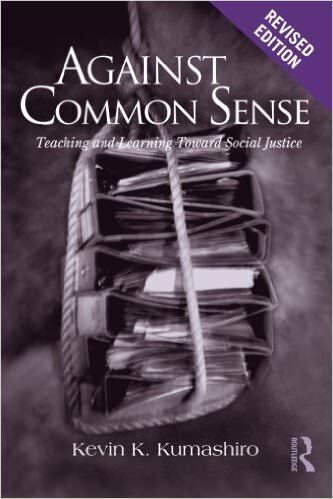 The new pedagogical components of the revised edition will offer K-12 teachers and teacher educators the tools they need to teach against their common sense assumptions and continue the evolution of social justice in education. Massaro S.J., Thomas. 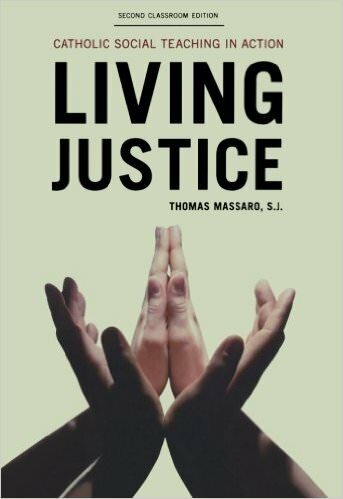 Living Justice: Catholic Social Teaching in Action (Rowman & Littlefield Publishers, 2011). For over a decade Living Justice has introduced readers to Catholic social teaching. Grounded in scripture, theology, reason, and experience, these faith-based principles for promoting justice and peace in modern society have inspired a remarkable burst of social activism in recent decades. The second classroom edition has been revised and updated throughout while maintaining the book's accessible introduction to both the foundations of Catholic social teaching and social justice in the world today. Living Justice leads readers step-by-step through the building blocks of Catholic social thought, including its central themes, sources, and methods. Along the way readers encounter great heroes of social change and prophets of peace and justice. Key updates to the second classroom edition include further reflection on the use of the just-war theory in light of events in Iraq and Afghanistan, the revival of terrorist threats, the papacy of Benedict XVI, the social encyclical Caritas in Veritate, the recent financial crisis, business ethics today, and ongoing environmental concerns. With its helpful resources, including discussion questions and an annotated list of print and web resources on Catholic social teaching, Living Justice remains a perfect text for courses on social justice. Michie, Gregory Michie and Ladson-Billings, Gloria. 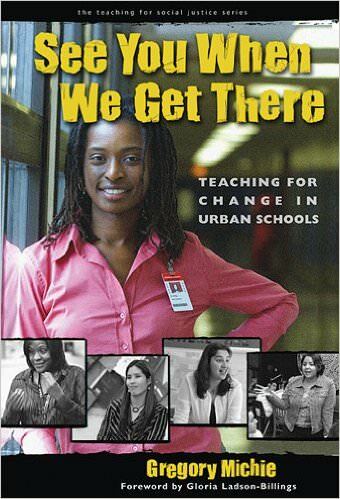 See You When We Get There: Teaching for Change in Urban Schools (Teaching for Social Justice Series) (Teachers College Press, 2004). The primary purpose of this book is to serve as a resource in teacher preparation programs. It is also intended to serve as an instructional resource in K12 education. The book will be especially useful in methods of teaching and foundational courses both at the elementary and secondary education levels. The book contains pertinent instructional topics, units and lessons in global education and social justice themes. 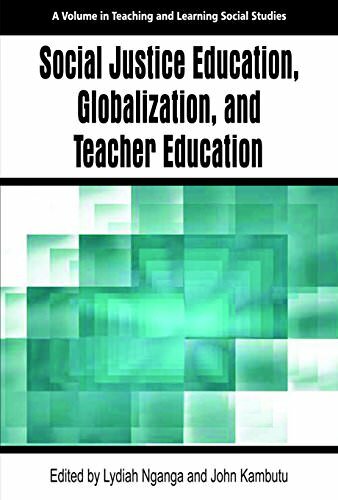 The secondary purpose of this book is to serve as a resource for graduate students and researchers whose interest is global and social justice education. This unique book provides for an interdisciplinary approach to teacher education. Additionally, this book is intended to create a deeper sense of relevancy to issues of curriculum in teacher education. Together, global educators and social justice educators can forge pedagogical content knowledge that bridges the gap between affirming one's own identity and maintaining unity with the whole, thus exemplifying a robust notion of social justice. Consequently, content in this book will help pre?service teachers to gain confidence and deeper knowledge around issues of global interest, responsibilities and uncertainties associated with their role as teachers who will teach children within the intersection of local and international neighborhoods. Stinson, David and Wager, Anita. 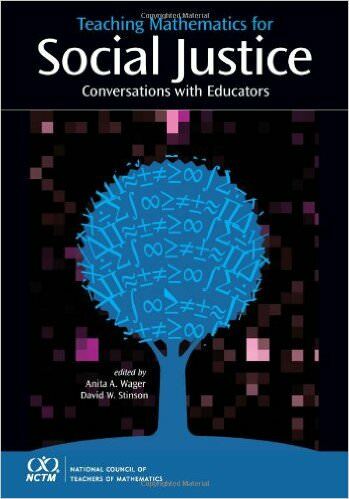 Teaching Mathematics for Social Justice: Conversations with Educators (National Council of Teachers of Mathematics, 2012). From the makers of Co-opoly: The Game of Cooperatives comes our newest game: Loud & Proud, the fast-paced social justice word association game! The gameplay is easy and quick. Players sit in a circle and flip over cards, if the symbol on your card matches another player’s, you face-off, and race to answer each others’ card prompt first. Your card might say “Civil Rights Leader,” and their card might say “Renewable Energy”—the first player to correctly answer the other player’s prompt (“Malcolm X!”) wins their card. But watch out: A few cards force all players to give an answer at once or provide not one, but three answers! What ensues is shouting, laughing, high-fives, and the opportunity for important conversations. This game is simple to learn, a blast to play over and over again, and refreshingly insightful. Along the way you’ll learn more about the many issues covered and get to know your fellow players better. 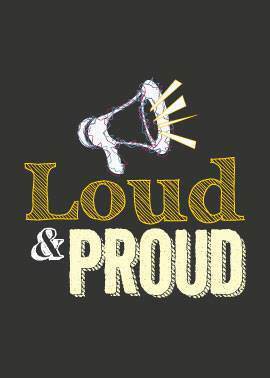 Have fun, and no matter what, be loud and proud! Wade, Rahima C. Social Studies for Social Justice: Teaching Strategies for the Elementary Classroom (Teaching for Social Justice Series) (Teachers College Press, 2007). Windley-Daoust, Jerry. 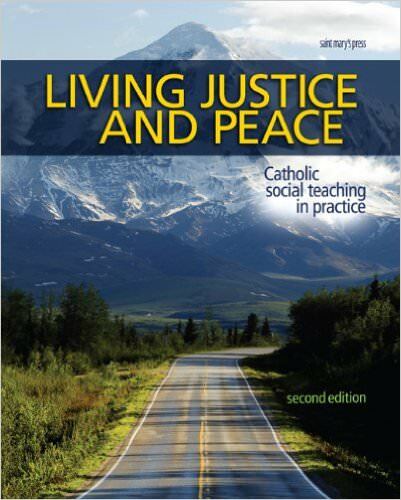 Living Justice and Peace (2008): Catholic Social Teaching in Practice, Second Edition (Saint Mary's Press, 2008). The Ad Hoc Committee to Oversee the Use of the Catechism, United States Conference of Catholic Bishops, has found this catechetical text, copyright 2008, to be in conformity with the Catechism of the Catholic Church. The second edition of this text has the same sound theology with updated stories, images, and statistics! The Living Justice and Peace course empowers students to examine society critically based on values from the Scriptures and on the seven themes of Catholic Social Teaching. The text addresses specific topics including abortion, capital punishment, racism, poverty, the environment, and peace.